Buckswood Lions are through to the last 8 of the ESFA (English Schools Football Association) national cup again for the second time. Having been crowned national champions in 2015 and Roma International Champions in 2016 hopes are running high for a top finish this year as they make their way to their quarter final match against Barking Football Academy at Eastbourne Borough FC. The Senior Buckswood Football Academy at Buckswood has tripled in size this year and has seen a flood of applications from across the globe with many U17 world cup national players apply from the Caribbean and Africa. This season’s fixtures list so far reads like any young footballers dream with matches against Gillingham, Maidstone United and Eastbourne Borough FC and some of the players have been training with AFC Wimbledon and there is an invitation from a current top 4 Premier League team to play against their U18’s side in the new year. With 70 players in the Senior Academy to pick from, the team sheet is always strong. The Academy has an Elite and Development squad and both allow students balance their academic studies – even those on the cusp of professional careers, with students facing the exam boards as well as testing their metal against professional and semi-professional teams. The players are all taking full advantage of the staff and facilities available in the Football Academy, including their latest recruit Alex McCarthy, originally from Cambridgeshire, who has joined the team with his expertise in the field of match and player analysis. Heralding from the world of elite football, Alex has previously worked at Bournemouth FC in their youth academy and with the Rwanda national team. Alex’s experience both in Africa and in the UK are ideal preparation for joining the Buckswood Football Academy’s coaching team, where the 70 strong squad is made up of players from around the world. “I am loving the atmosphere at Buckswood already” said Alex “you only have to walk from the staff room to the dining hall and you can hear so many voices and see faces from every corner of the globe. That makes the training pitch an exciting place to be – a real melting pot of attitude and playing styles from Europe, Africa, South America and Asia. I am learning something new every day!”. And so far the addition of match analysis is enabling the squad to identify good patterns of play by watching their own games and the top professional in action on film. Analysing set pieces such as free kicks and corners and understanding how the best of the best operate is helping the Buckswood Footballers turn what they have learnt in the classroom into better on-pitch performances. A ‘youtube’ channel showcases the calibre of coaching going on at the East Sussex school, and with members from national U17 teams such as Nigeria, Bermuda and with European football royalty part of the squad it is no wonder the Premier league scouts are regular visitors to Buckswood. Buckswood Football Director Daryl Willard said “The growth of the academy since I took charge just a year ago is phenomenal. We have built a reputation across the world and now have national team U17 world cup captains and squad members from as far as the Caribbean and Africa whose development has been trusted into our care. These players often have to jet off to represent their nations, but the combined pool of talent is a sight to see in training and everyone benefits in both the Development and Elite squad. It is this talent which is the draw for football hopefuls who want to join the Academy”. The Buckswood Football Academy is now 70 strong and 7 full time football coaches and extra professionals such as physios, match analysis and gym fitness specialists are on hand to support everyone’s development. 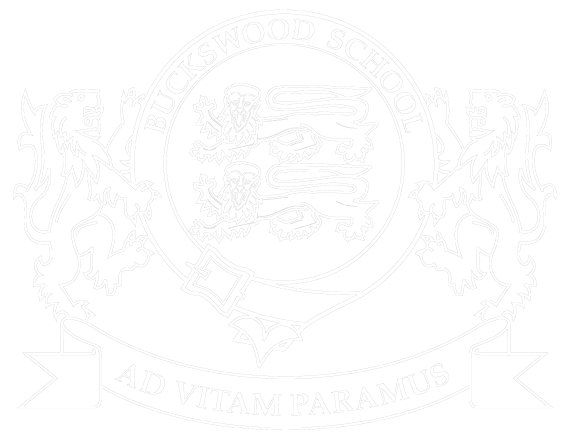 But it’s not all about the game, the Buckswood Football Academy members have to maintain their grades to qualify for the full time training programme; which means that their academic studies cannot take second place to their football. All the players are drilled on a regular basis by Daryl and the Academy coaching team that a solid education is as important as the game and the coaching staff work closely with teachers as there is ample opportunity for a carrot and stick approach to be applied both in and outside of the class room.